We all grew up learning and reciting nursery rhymes. We find that even as adults they bring us back to a happy time in our lives. 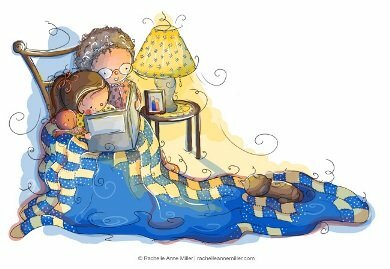 Times we sang fun little songs and danced, cuddled with our parents or grandparents to read. Today, nursery rhymes can be shared with our children and grandchildren through books, songs, activities, parties, gifts and decor! You'll find all these things and more right here! Grandmas Nursery Rhymes offers one of the most complete collections of verses and songs in our nursery rhyme libraries. Peruse the various rhyme libraries by clicking on the buttons to the left. All the verses and songs are filed alphabetically by title, to help you find the one you are looking for. If you have trouble finding the verse you're looking for, try entering what you know in the search box that is located on each nursery rhyme list page. This handy tool will search the entire site for the words you key in the box and bring back all that it finds to assist you in your search. Check out the fun nursery rhyme activities you can share with your special little one as you learn the verses together. 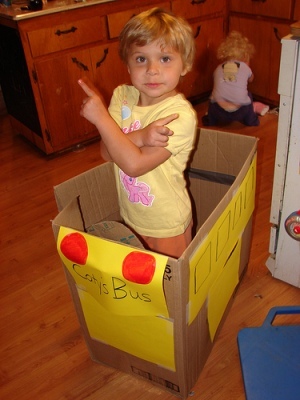 You'll find a variety of fun things to do with children of various ages. Grandma knows that children love to color pictures of their favorite characters. So I've placed free coloring pages of nursery rhyme characters and scenes on the site that you can download and print. Feel free to print as many as you like to keep your kids busy and happy. Learn how to make different types of puppets, arts and crafts or even a some fun fingerplays. I'm always trying new things with my grandchildren, then sharing them with you by adding those fun activities to the site. I love to hear about your favorite rhyme books, games, activities, fingerplays, costumes, even personal pictures of you and your special one sharing rhymes. It's easy to share with all of us the creative ideas you and your children incorporate into learning rhymes. Simply click on one of our submission forms you'll find throughout the site and start telling us all about your ideas. 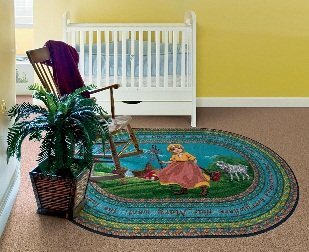 If you are expecting, or perhaps your soon to be a grandparent yourself, you will want to check into the nursery rhyme themed baby rooms. You will find all sorts of great ideas on how to make your newborn's room so special. From paint to baby furniture to accessories, there are lots of wonderful hints, ideas and items you can use for your special little one's space. Soon, Grandma will be adding pages on toddler and preschooler rooms based on nursery rhyme themes. These ages are so much fun as they learn and recite the rhymes. My grandchildren tickle me all the time with their interpretation of their favorite rhymes. Are you planning a baby shower for a new mother to be? A nursery rhyme themed baby shower can be lots of fun! There are nearly an endless number of themes to choose from for your party. Be sure to check out the ideas for invitations, decorations, menus and even delightful challenging games to entertain your guests. You'll even find ideas and easy step by step instructions on how to create a very special diaper cake that makes not only a wonderfully creative gift, but a beautiful centerpiece or decoration for your baby shower. Nursery rhyme themed baby gifts are always a hit with new mothers. 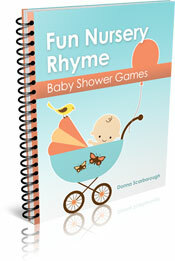 Nursery rhymes offer all sorts of themed ideas for the perfect gift. From themed gift baskets with all those items a new mother needs to room decor and more, you'll find lots of ideas. 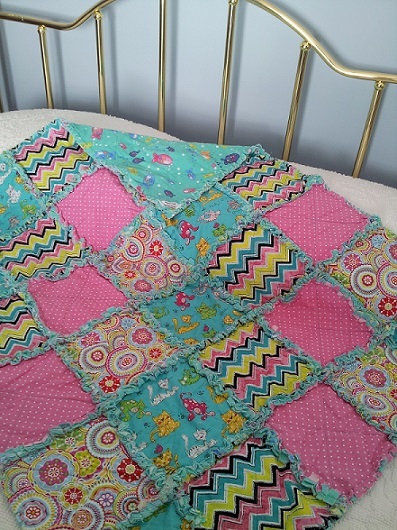 One of the Grandma's favorite baby gifts is a nursery rhyme themed baby rag quilt. These one of a kind handmade creations are the most beautiful and useful gifts for any newborn. 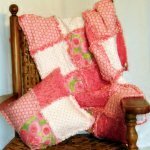 Each quilt is carefully created from the selection of the fabric to the design and assembly. Be sure to check out our unique nursery rhyme themed designs. So sit back with your favorite cup of tea or mug of coffee and enjoy some time perusing through All Things Nursery Rhymes! If you find something you really enjoy, like us on Facebook or Google+ and let your friends know so they can enjoy the site as well.